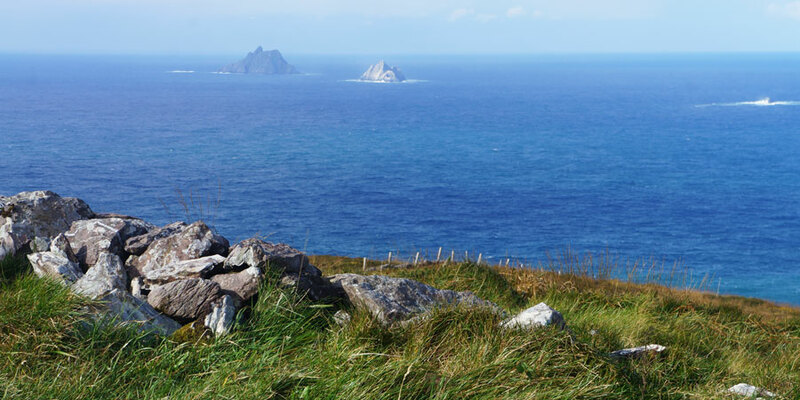 We have teamed up with the Kerry Camino Walking Festival 2019 to give you and a friend the chance to win a weekend at this very special festival. 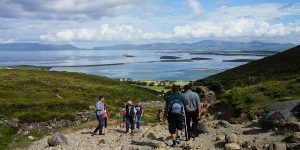 Each year we ramble the mountains of Kerry, taking in the stunning coastal views, making new friends and enjoying the friendly atmosphere. This is a weekend we are firmly penciled into this years walking calendar and would love for you to join us. To celebrate the festival we are giving you and a friend the chance to win a weekend ticket with two nights accommodation. WHAT COLOUR ARROW DO YOU FOLLOW WHEN WALKING THE CAMINO? The first day you will collect your festival registration pack and spend the evening in the relaxing town of Tralee. Wonder the small streets and enjoy a pint of the black stuff in Sean Og’s pub. Today you will walk from Tralee to Camp The trail is 18 kms today, Walking from St Johns Church Tralee, via Blennerville, finishing at The Railway Tavern in Camp for light refreshments. 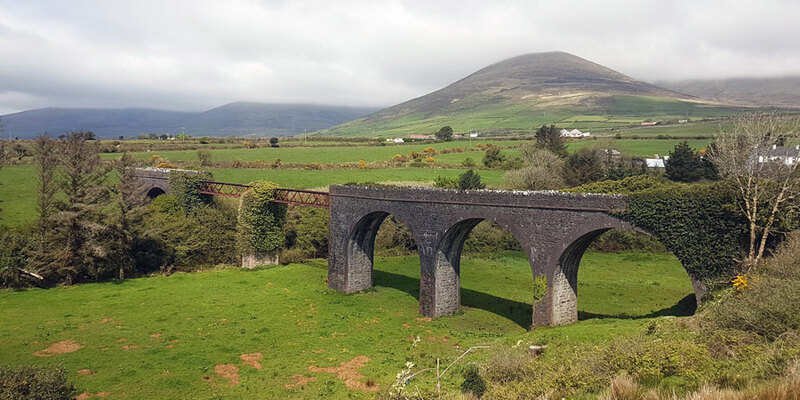 Today’s walk takes you along the canal, overlooking the enchanting Blennerville Windmill and through the Slieve Mish Mountain range. Camp to Annascaul Day 2 is 17 kms. Today you will walk from Camp. via Inch Beach, and finish in Annascaul. Keep a an eye out for the the impressive megalithic fort perched near the top of Caherconree Mountain. The walk finishes at Inch Beach where the famous film Ryan’s daughter was filmed in the 1960’s. There is an optional Barbecue at Hanafin’s pub this evening. 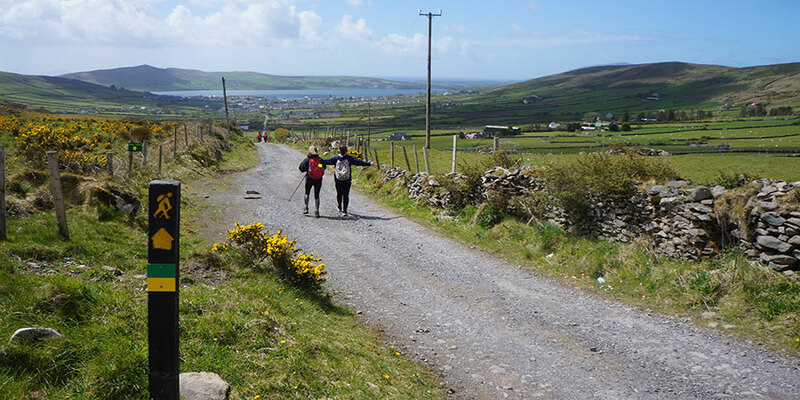 On the final day you will walk from Annascaul to Dingle over 22 kms. Stop by the site of the 16th century Minard Castle ruin and finish at St James Church and receive your certificate of completion. This is a great opportunity to meet fellow walkers, see the stunning Irish countryside and learn a little bit about the amazing walking routes throughout Europe. 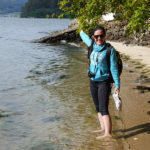 More details about the festival here: Kerry Camino Walking Festival 2019. 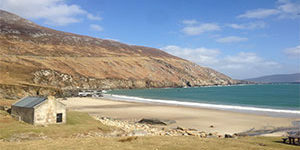 For more information on walking the Kerry Camino please contact one of our Travel specialists. Remember, even if you don’t win, all Kerry Camino Walking Festival attendees get a special 10% OFF our Camino tours with code KERRYCAMINO. Would like to come a week early and stay a week perhaps 2 after, at our own expense. Looking forward to this wonderful opportunity! That could be arranged with the team, good luck! i walked the camino in spain last year and loved all the little farmyards we walked through. i would love to do this walk in ireland. May we arrive sooner than Day 1 (perhaps a week?) and, then leave later than Day 4(perhaps a week?) at our own expense??? This sounds like a great getaway!